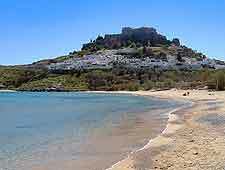 Home to such a rich collection of Minoan treasures and historical sites, such as the 3rd-century BC Temple of Aphrodite, Rhodes also features a truly world-class selection of beaches. 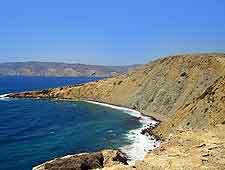 During the summer months, the Rhode beaches cannot help but overshadow even the most impressive of the island ancient attractions, offering gorgeous sand and crystalline waters. 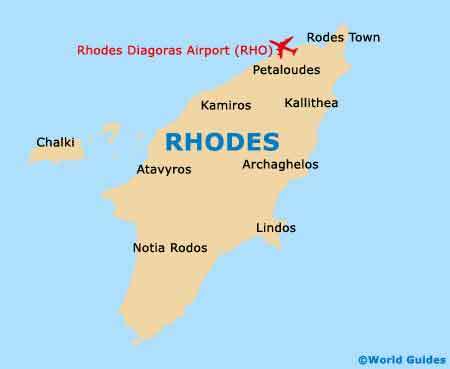 With more than 300 days of sunshine each year, the beaches of Rhodes feature plenty of opportunity to improve your tan. 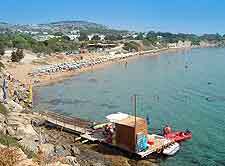 However, on the very hottest of days, the choice of water sports provide perhaps the ultimate way to cool down and popular choices include everything from sailing and surfing, to windsurfing and even kitesurfing, where you are able to soar above the sea, albeit rather briefly. 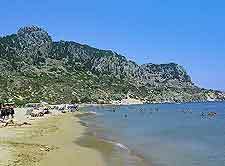 If you are looking to get an all over body tan, then many of the Rhodes beaches will tolerate nudists in more secluded areas. 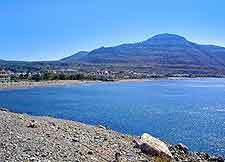 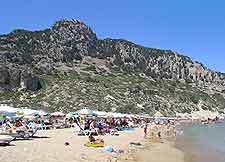 However, Faliraki is actually the only official nudist beach on the island. 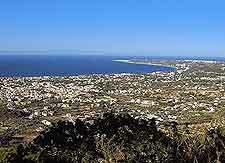 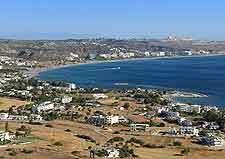 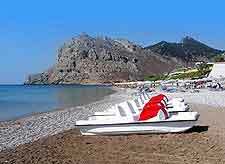 For holiday makers, going beaches include Akti Miaouli, Kalithea, Kolimbia (Kolymbia), Lindos and Ladiko, amongst others.